Charlotte and Andrews wedding at Kedleston Country House Hotel was an amazing day to be part of and capture for them both. The wedding day started off with the bride getting ready at her parents home with her three gorgeous bridesmaids. I arrived nice and early so that I could capture hair and makeup and capture the detail photographs of the wedding dress, shoes and other important personal items that the bride had prepared before the fun began with Prosecco and laughter! Andrew was getting ready nearby so I was able to shoot over to him for his preparations to ensure that when Charlotte and Andrew received their wedding photographs from me that the full day was captured. Quite often when the planning is done this can be worked into the timeline that helps to save the cost of a second photographer. Charlotte and Andrew were married in a beautiful church near Burton on Trent and then moved over to Kedleston Country House Hotel for their wedding breakfast and reception. The hotel is just stunning and offers amazing rooms and gardens to take photographs in and for the guests to enjoy the outdoor space with a variety of garden games like Giant Jenga! 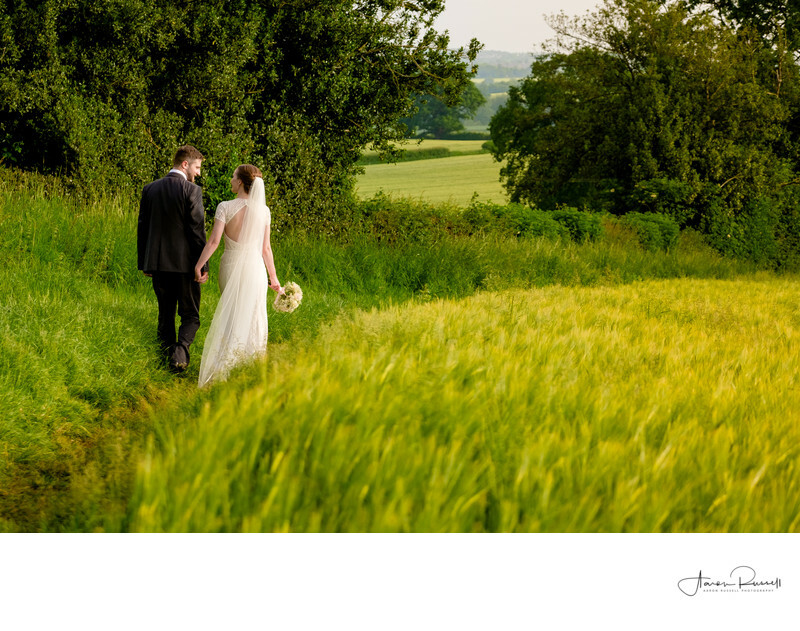 After the wedding breakfast it was time to do the bridal portraits, and with the rolling Derbyshire Countryside all around it made the perfect location to get some wonderful photographs of the newlyweds. This photograph is a favourite of mine and that of the newlyweds and just captures a beautiful moment between them both. Location: Kedleston Country House Hotel, Kedleston Rd, Quarndon, Derby, DE22 5JD.